It is deeply regrettable that some MPs represented in Belgium’s local bodies act as supporters of Kaspar Karampetian, head of the European Armenian Federation for Justice and Democracy (EAFJD), operating in Brussels, Hikmat Hajiyev, spokesman for the Azerbaijani Foreign Ministry told on April 20. Hajiyev was commenting on the statement issued by some Belgian parliamentarians in protest over the initiation of a criminal case against Karampetian by the Prosecutor General’s Office of Azerbaijan. Apparently, Karampetian is seriously concerned about the fact that the Prosecutor General’s Office of Azerbaijan opened a criminal case against him, the spokesman said. Therefore, Karampetian seeks the support of some MPs in local bodies of Belgium, who illegally visited the occupied Azerbaijani territories, he added. “Karampetian influences European politicians through various means, organizes their visits to the occupied Azerbaijani territories, later turns them into a propaganda tool against Azerbaijan, and organize and funds anti-Azerbaijani events,” he said. 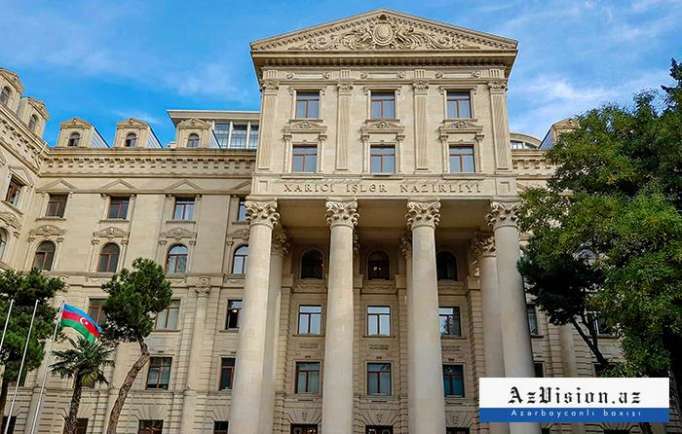 Hajiyev warned that all legal mechanisms will be used on a bilateral and multilateral basis to prevent Karampetian’s activity against Azerbaijan’s territorial integrity and sovereignty and to bring him to criminal responsibility.